When you enter an online cigarette store you are wondering how different cigarettes may be! 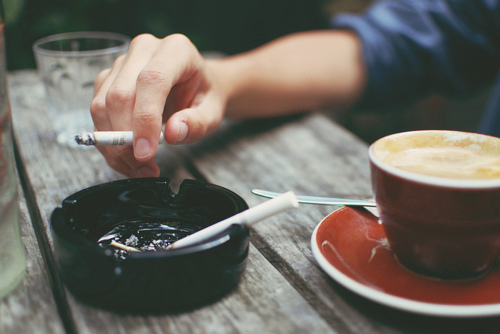 You see cigarettes with filters or without filters, made from white or brown paper, thinner or thicker, having sweet taste or harsh, longer or shorter by leangth. As to cigarettes packs, they are a kind of little masterpieces. It is what you see first when you come to the shop or enter an online store to buy cigarettes. Each brand tries to make its packs beautiful, original, unusual and stylish to attract customers. Probably you noticed that packs for women usually have pretty female designs while packs for males are more elegant and even rigorous. 1. What is most popular slim cigarettes brand? 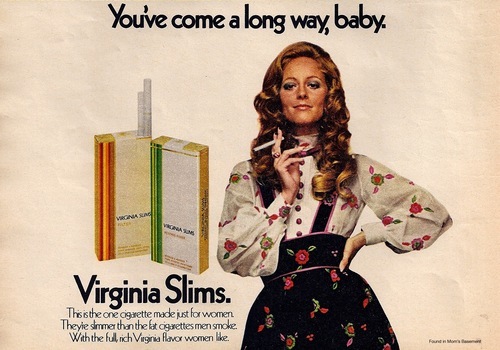 Yeah, Virginia Slims, which was introduced on the American market in 1968 by Philip Morris. The brand was created exclusively for women and had a number of beautiful posters depicting different pretty women. Most popular Virginia Slims slogan was "You've come a long way, baby." accentuating the expectations of female smokers for their brand. Later, new slogans appeared, but they were not as popular as this one. Probably, you never heard slogans "It's a woman thing" created in1990s, and "Find your voice". 2. Do all slim cigarettes have the same diameter? Well, you may find several cigarette brands with same diameter, but generally all cigarettes are different. They usually have different tobacco mixtures and therefore different tastes. It is a quite difficult question, because here should be made a very profound study on the subject. However, you should know that besides slim cigarettes do exist demislim cigarettes and superslims. 3. Are slims only for women? Well, this kind of cigarettes initially was created for women only, but with time slims became popular among men too. Nowadays, a lot of cigarettes brands make slims with high amount of tar and nicotine that is so perfect for men! Most slims have a stylish design which suits both men and women.